Last week I couldn’t post because of my bad WiFi! 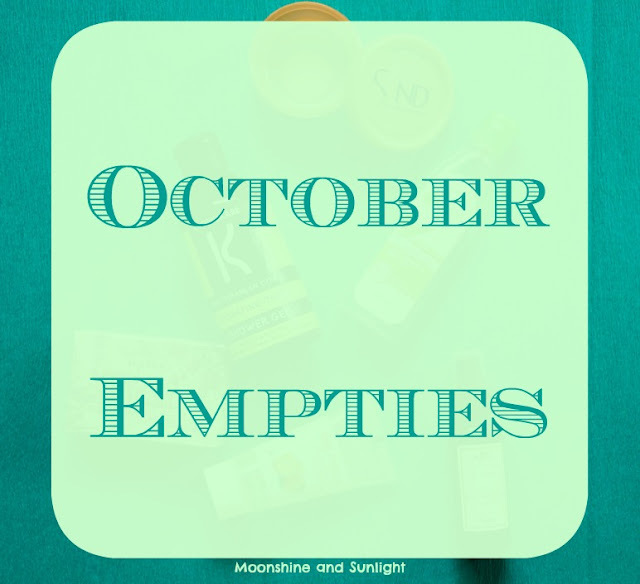 I didn’t have WiFi for the whole week and that’s why I am posting the October empties today! It’s 9th but then it better late than never ! As usual, no Makeup product in my empties this month, Mostly skincare and bath products! I have already said when I reviewed this that the scrub smell DIVINE and this is something I would always have in my stash! This is a mild scrub and would be perfect after the winters! So I will repurchase this after the winters are over. I was using this very less because I love this! Sounds weird? 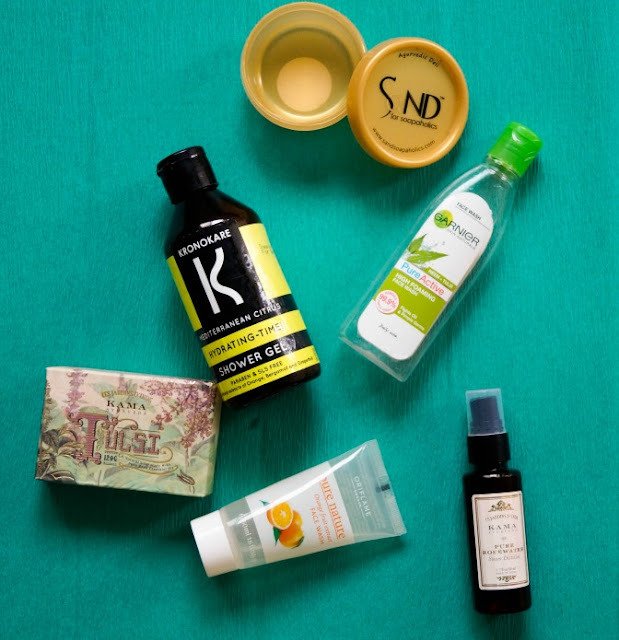 Actually I love visiting Kama Ayurveda’s stores so I was saving this up till I could visit the next time, But when they opened up a store in Bangalore, I started to use it like I usually would have ! I have enjoyed using this because of a lot of reasons I talked about when I reviewed this and the moisturizer. I will try something from them, maybe their lavender range! 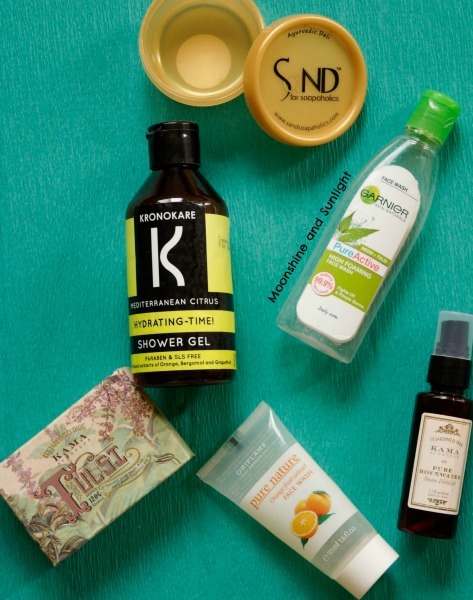 But Since I do not repurchase same shower gels, I’ll not repurchase the exact same one! I will definitely repurchase this! I loved using this but since it is a little drying , I’ll get this again after the winter is over. I don’t mind the price (425 INR) in this case. This soap is sooooo good and the fragrance is extremely relaxing, reason enough for me to repurchase this! I didn’t like this face wash somehow, I can’t explain really why, but I didn’t! The fragrance is really nice and citrusy. I won’t repurchase this one. So these are the things I finished up in October,mostly skincare and bath products and most of the things are something I would repurchase! I really enjoy doing these posts! These help me keep track of what to buy again and what not to!